Ever since I was a child I wanted to fly! For some reason my school teachers believed Pilots were these people that should be worshiped on a pedestal and that I could never be one. I guess even I thought being a pilot was pretty cool! In my early 20's I decided to go to Australia from New Zealand for New Years with a mate and was lucky enough to be able to travel some of the way in the flight deck of a Boeing 767. Bin Laden and his Donkeys have put an end to that being allowed any more. Over a conversation with the Captain of the Air New Zealand flight, he asked if I had an interest in flying. I expressed that I did but had been informed I didnt have the "brains" to get through it. The turning point for me was when he turned from his seat and said, "If this is something you really want to do, it will be hard work, but you can do it". Well that hit me like a ton of bricks and the rest is history! In December 1997 I started flying lessons with the best instructor I could have wished for. Thanks John for your sanity! The next 2 years I spent studying at night school for 4 nights a week and gained my PPL, CPL, Instrument and ATPL theory subjects. The Captain was right, it was damn hard but I did it! Finally after a lot of research, I have started. It was a final pick between the Pietenpol Air Camper, Piper J-3 Cub replica or a Sopwith Pup replica. 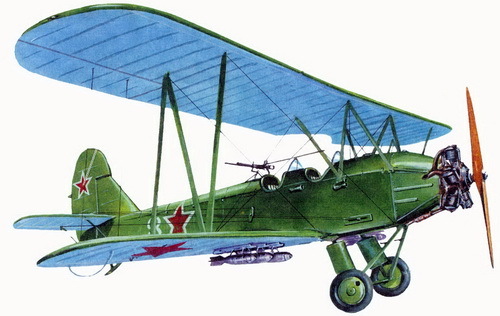 My next project will hopefully be this Polikarpov PO-2. I hope I can keep this build going at a steady pace and not fall off track too often. It is a big project but I am confident I will finish it. Life should NOT be a journey to the grave with the intention of arriving safely in an attractive and well preserved body, but rather to skid in sideways, joystick in one hand, beer in the other, body thoroughly used up, totally worn out and screaming "WOO HOO what a ride!"